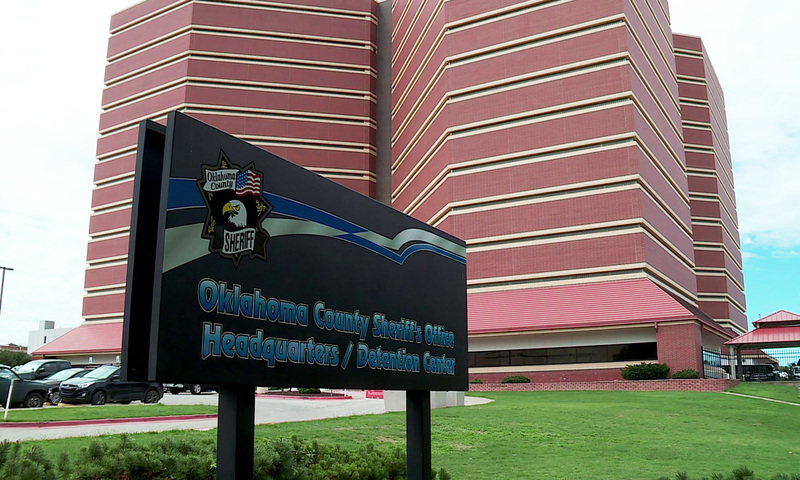 OKLAHOMA COUNTY, Okla. – An Oklahoma law enforcement group says it was shocked to learn of a county commissioner’s “acts of deception” when visiting the Oklahoma County Jail. Last year, former state representative Kevin Calvey was elected as the District 3 Oklahoma County Commissioner. According to a report by NewsOK, Calvey decided to stop by the Oklahoma County Jail after hearing stories about inmates being held too long at the facility. The report states that Calvey told Oklahoma County Sheriff P.D. Taylor that he and an aide would be coming by the jail to see the conditions for themselves. However, Calvey ended up bringing 17 people with him, including a district judge. Ultimately, Calvey and the large group were turned away for safety reasons. Now, the Oklahoma County Sheriff’s Office Fraternal Order of Police has released a strong statement about what went on at the jail. “The OCSO F.O.P. lodge 155 was shocked at events that took place at the Oklahoma County Jail this past Saturday, led by newly elected District 3 County Commissioner Kevin Calvey and an Oklahoma County District Judge. Commissioner Calvey’s outright deception of the sheriff and a metro police department was irresponsible and unbecoming of an elected official. According to the article appearing in the Daily Oklahoman on the 5th of February, Commissioner Calvey had communicated with the Sheriff’s office on Friday February 1st indicating he and an aide would like to come to the Jail on Saturday and observe commissary and lunch being served. The sheriff was open to accommodating the Commissioner’s request. Commissioner Calvey showed up on Saturday at the front lobby of the jail with 17 additional people. One of those people was a District Judge, Judge Cindy Troung. There were also Valley Brook uniformed police officers with the Commissioner and Judge’s group. These police officers and their chief believed they were acting to assist the sheriff. Valley Brook Police Department and its chief were clearly misled by the commissioner. We find this conduct by Commissioner Calvey to be [reprehensible], dishonest and reckless. The Sheriff and the county would have been responsible for these untrained, unprepared people in the jail. The police officers had no jurisdiction within the county jail to act as peace officers or security, nor have they completed a state mandated jail standard test to work in a jail. [Commissioner] Calvey indicated in the Oklahoman article he was concerned about people being held in the jail beyond their release time. Commissioner Calvey went on to say this was a potential law suit for the county. This lodge feels that Commissioner Calvey’s acts of deceptions to gain access to the secure area of the jail with [unauthorized] people, placed the county and the tax payer at a higher risk of liability. Finally, Commissioner Calvey suggested the Sheriff was hiding something because he denied access to Calvey and his entourage to the secure area of the jail for safety and security reasons. The Sheriff had made accommodations for Calvey and one aide not 17 unauthorized, untrained people.